If your impression of Madison is that of a sleepy little suburban town where the only time people are outside is to mow their lawns on the weekend, I have a surprise for you. Madison is quite possibly the “Coolest Outdoor Town in Connecticut”! Whether you’re an endurance junkie, a trail hound, an outdoorsman, or a waterman, Madison provides the adventure you’re looking for. Here are some ideas of how to experience a Mad-venture of your own. If waking up early and getting in the training miles is your idea of a good time, join the hundreds of runners and cyclists that traverse Madison’s quiet residential streets on a daily basis. To run like a local, start at the town-owned Surf Club and head down Middle Beach Road to enjoy the beautiful views of the shoreline. Stop and turn around at East Wharf Beach for a short out-and-back, or continue on and link up to the Shoreline Greenway Trail and continue running into Hammonasset Beach State Park. Cyclists can follow this same route, venture further along the shoreline in either direction towards either Clinton or Guilford, or head up north and challenge your legs and lungs to some punishing hills. Forgot your bike? No problem, Vista Life Innovations runs a seasonal bike share program in cooperation with the Madison Beach Hotel, the Scranton Seahorse Inn, and the Tidewater Inn. Want to test your legs against the local competition? Madison is home to some of the best races in the region. Marquee events include the Madison Turkey Trot, the Madison Triathlon, and the Summer Breeze Century Ride sponsored by the Madison Jaycees, the Leprechaun 5-miler sponsored by the Exchange Club of Madison, and the Vista Tour de Shore sponsored by Vista Life Innovations. The Town of Madison contains over 10,000 acres of open space connected by more than 50 miles of trails under the collective management of the Town of Madison, the Madison Land Conservation Trust, the South Central Connecticut Regional Water Authority, and the State of Connecticut Department of Energy & Environmental Protection. Trail runners and hikers can explore a range of options, from the beginner-friendly Shoreline Greenway Trail to the more rugged and rocky routes in North Madison. 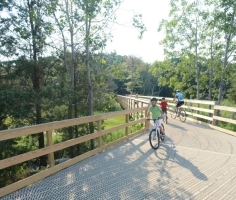 The South Central Regional Council of Governments maintains an inventory and maps of the entire regional trail system that can help you select an appropriate route, and the Madison Land Conservation Trust holds events throughout the year to get people out on the trails. The Connecticut Forest and Park Association also hosts several local events and organizes the Blue Blazed Trail Running Series, highlighted by the Bimbler’s Bluff 50k which winds through the Town of Madison’s Rockland Preserve. Mountain bikers will find a network of over 17 miles of dedicate mountain bike trails at the Singletracks of Rockland. The Singletracks of Rockland are a flowing, feature packed tour of the 650 acre Rockland Preserve property. The trails were built for mountain biking and were voted amongst the most popular mountain bike trails in the United States. GPS ready maps are available at the trailheads and the trails are well-marked and easy to navigate. 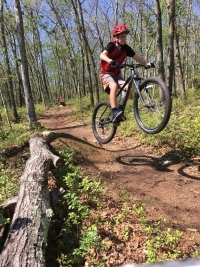 The trails are also the training grounds of the Rockland Rad & Gnar junior mountain bike team, who took home the Connecticut Cycling Advancement Program (CCAP) 2017 Junior Mountain Bike Series Team Standings. Just off trail you’ll find a surprising number of rock climbing and bouldering spots throughout town and in neighboring Chatfield Hollow State Park. The Main Wall at Chatfield has been a hotbed of rope climbing in Connecticut since the 1970’s and the surrounding areas are also home to some of Connecticut’s best bouldering. Located in New Haven but owned and operated by a Madison family, City Climbing Gym offers rock climbing instruction for those new to the sport. While the Town of Madison has many wonderful parks, Bauer Park stands out as of particular interest to the outdoor enthusiast. The Beach and Recreation Department organizes programming at Bauer Park year round, ranging from nature walks to maple sugaring at the Bauer farmhouse. If you’re in town during October, you do not want to miss the Annual Bauer Park Harvest Festival. The festival just wrapped up its 20th year, and this free old-fashioned country fair at Madison’s historic farm is sure to please. Birdwatching is another favorite pastime of both residents and visitors to Town. The Audubon Shop is widely known by birders throughout the state and the country as the place for binoculars and telescopes, tripods, international travel and field guides, and expert advice. The shop also conducts bird walks and talks throughout the year. Bounded on the west by the East River and Neck River, on the east by the Hammonasset River, to the south by Long Island Sound, and dotted with smaller water bodies throughout, Madison’s geography provides a utopian playground for the water lover. Public boating access to the East River and Long Island Sound can be found at the East River Boat Launch off Circle Beach Road. Private boat storage is available through Beebe Marine. Rooftop boat access and seasonal rack rentals are available at West Wharf Beach and East Wharf Beach, and the town maintains a public boating area for sailboats and kayaks at Garvin Point at the Surf Club. 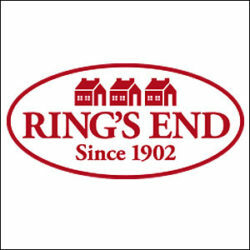 Mooring posts are also available for rent at West Wharf. Kayak and Stand Up Paddle (SUP) board rentals are available nearby from Paddleworks at Harborside Marina. Paddleworks also offers classes and programs for Spring through early Fall. The Town of Madison’s Shellfish Commission operates a recreational shellfish program, in which numerous bushels of oysters and/or clams are placed in accessible recreational areas for residents to harvest. Additionally, the Shellfish Commission hosts an annual Clam Dig & Oyster Harvest. Arguably, the epicenter for trout fishing in Coastal Connecticut is the Hammonasset River. Every year on the third Saturday in April, the Inland Fisheries Division of the Connecticut DEEP stocks the Hammonasset River with several species of trout and the fishing season runs continuously until February 1st. Trout stock maps are available on the DEEP website. Captain Morgan’s Bait & Tackle is the Connecticut shoreline’s full-service fishing outfitter servicing recreational anglers for the past 20 years. Check out Captain Morgan’s blog for up-to-date local fishing information. Madison is also home to Andy’s Custom Bass Lures, maker of the E Series Finesse Jig used to win the 2016 Bass Master Classic. Don’t assume that Madison enters into hibernation mode when winter hits. Many of the activities outlined above can take place year round. If you’re a hiker or trail runner, get some snowshoes and hit the trails. Mountain bikers can give their full-suspension super bikes a rest and break out their fat bikes. Several of the local parks are perfect for cross country skiing, and if you’re looking for a challenging trek atop two skis, Chatfield Hollow is happy to have you. Park your car at the convenient winter parking at the entry to the park, and embark on a three-mile trip on the main road, or aggressive eight mile route taking the service road. Spend some time exploring the outdoors in Madison and you’ll soon agree that Madison is quite possibly the “Coolest Outdoor Town in Connecticut”!